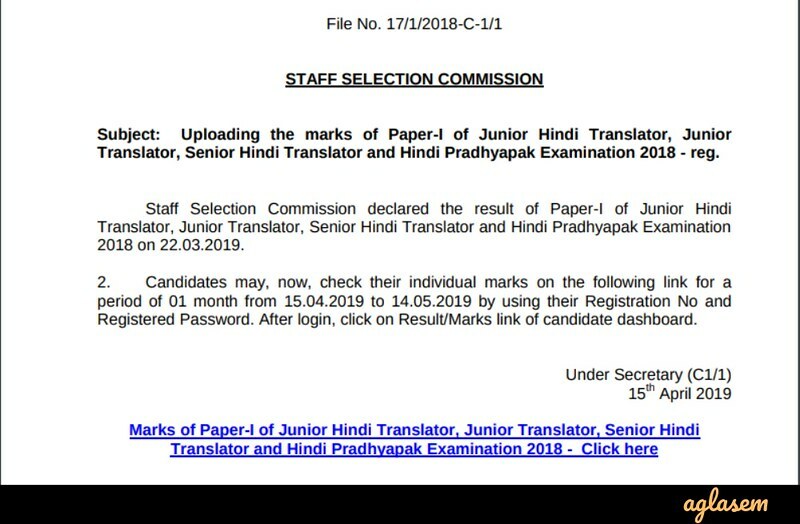 SSC Junior Hindi Translator Result 2018 – Staff Selection Commission (SSC) has released the marks of Paper-I of Junior Hindi Translator, Junior Translator, Senior Hindi Translator and Hindi Pradhyapak Examination 2018 on April 15, 2019, at ssc.nic.in. For checking the marks candidates have to enter the username and password. SSC JHT Result for a paper I declared on March 22, 2019. The SSC Junior Hindi Translator Result has been announced for the examination held on January 13, 2019. The result is available in the form of pdf containing the roll number, name, and category of the qualified candidates. Now the qualifiers will have to appear in paper II. Get here SSC Junior Hindi Translator Result 2018 of Paper I, Paper II, and Final result. Latest: The SSC JHT Result 2018 marks has been released. Scroll down to check the same. The SSC has declared the date of paper II, and on the basis of determined cut off marks, total 2041 candidates have been selected for paper II. The candidates can check the cut off marks from below. Result: Click here to check the marks of the of Paper-I. Click here to check SSC JHT Result 2018. SSC has announced the result along with the write-up. The candidates who have appeared in the examination can check their result now along with the cut off marks of each category. The result has not been sent to the candidate’s address. The only medium to check it will be by following the steps below. If the list will contain your roll number then, it will be highlighted there. Note: Candidates will not be sent any scorecard. As SSC doesn’t issue the scorecard. The SSC has released the cut off marks for the Paper I, the candidates who enrolled in the examination can check their result. The cut – off marks has been decided by the SSC, on the basis of these marks the candidates have been selected. For PWD category candidates the cut off marks have been put only 20% marks. The number of qualified candidates in each category. The SSC JHT Result 2018 will only contain the details of the candidates, the marks secured by the candidates will not be announced via it. However, the Commission will disclose the marks secured by the candidates. It will also be announced via a PDF and will be released a few days after the announcement of the result. The SSC JHT Paper 1 marks are announced after the conduction of the exam. However, for the Paper 2 will be announced through the merit list. After conduction of paper 2, SSC will release the result for the paper 2. The qualifiers of the paper 1 and 2 have to appear for the document verification process. However, the method of checking the result is exactly the same as the paper 1 result. 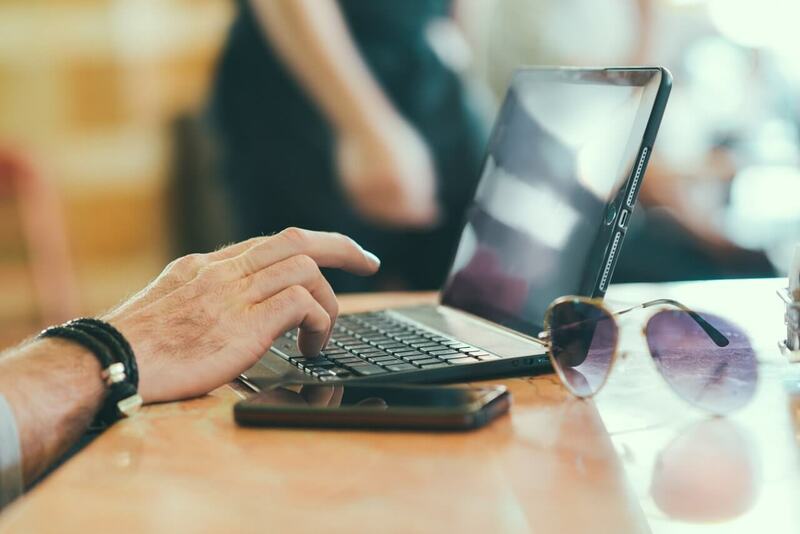 During the document verification, the candidates have to produce the same documents which he/she submitted at the time of application form filling. 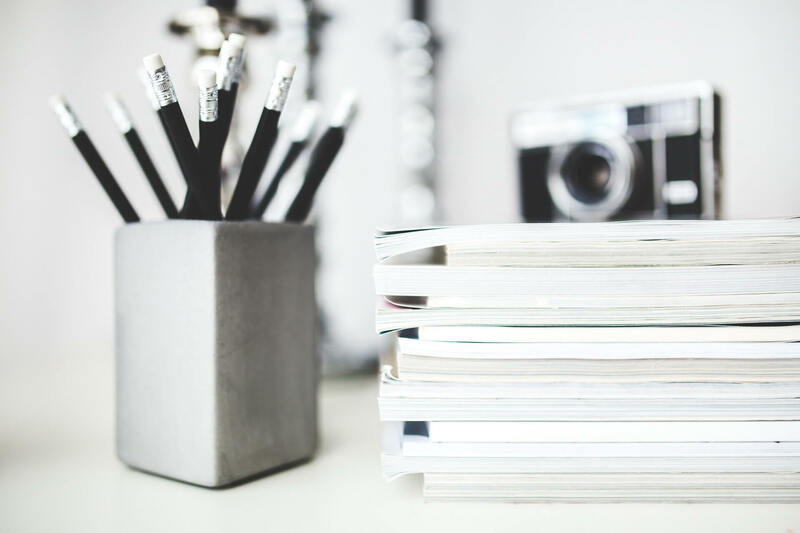 During the probation period, the candidates have to undergo functional training or pass such examinations which will hold by the competent authority. Staff Selection Commission has officially published SSC JHT Final Result. As per write up, the result is provisional. The cut off stands at 193 (UR), 38 (SC), 37 (ST), 65 (OBC), 07 (OH), 01 (HH), 02 (VH). Write-up: Click here to check the write-up. Staff Selection Commission has officially published SSC JHT Paper 2 Result 2017. As per write up, the result is provisional. The cut off stands at 135 (UR), 108 (SC), 65 (ST), 119 (OBC), 64 (OH), 64 (HH), 64 (VH).